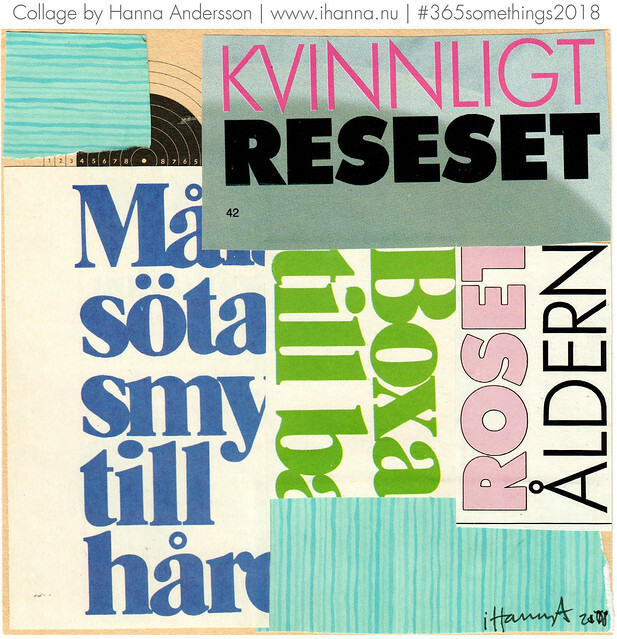 The titles of these collages (no 148 – 154) is quite random, but the collages themselves are all themed around Swedish headers cut out of vintage craft magazines. 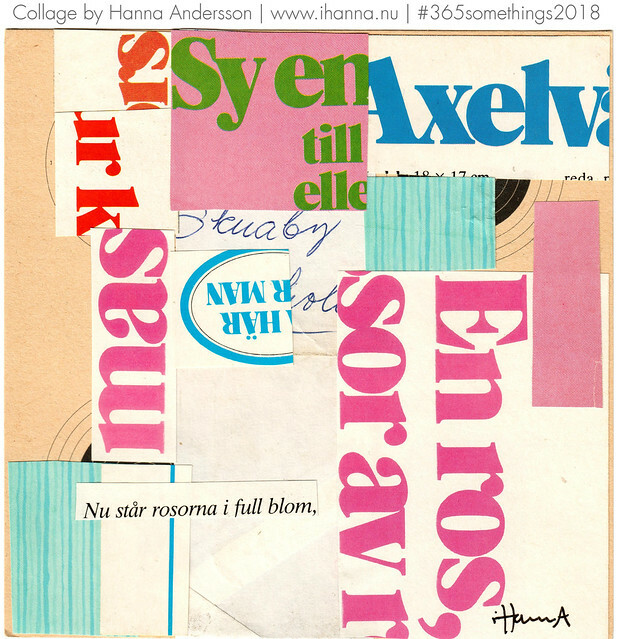 I love the colorful look of these Swedish text headers, and I hope you’ll enjoy these new collages! 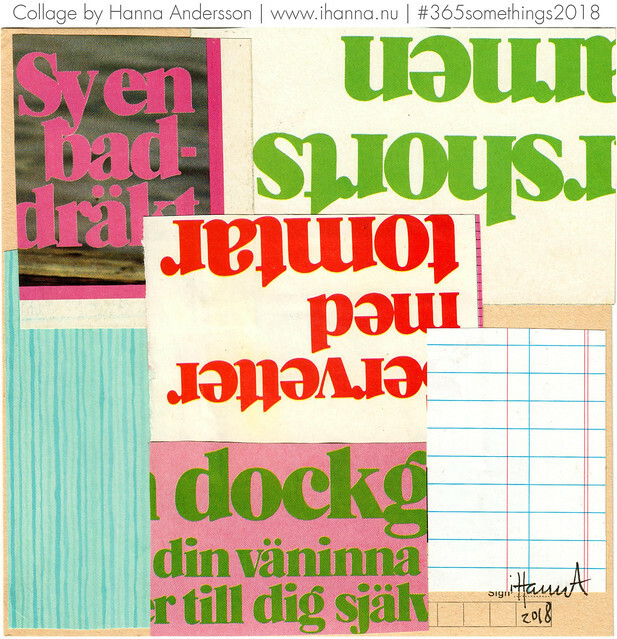 From Summer to Easter, collage by iHanna. 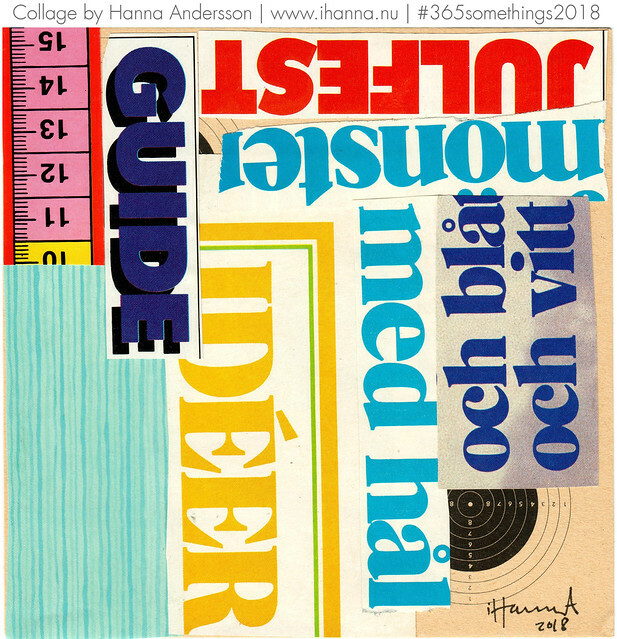 Your Guide to the Season, collage by iHanna. Season of Crafts, collage by iHanna. 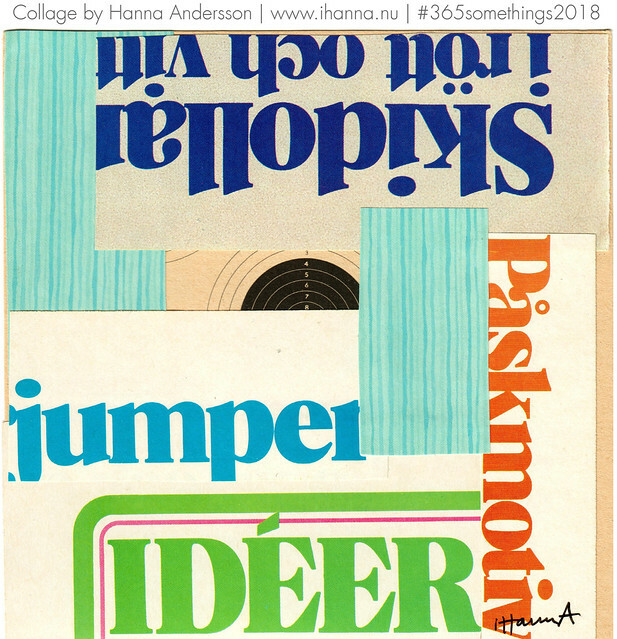 Never Ending Idea Maker, collage by iHanna. Age of Pink Crafts, collage by iHanna. Dolls for a Friend, collage by iHanna. Saving what was, collage by iHanna. 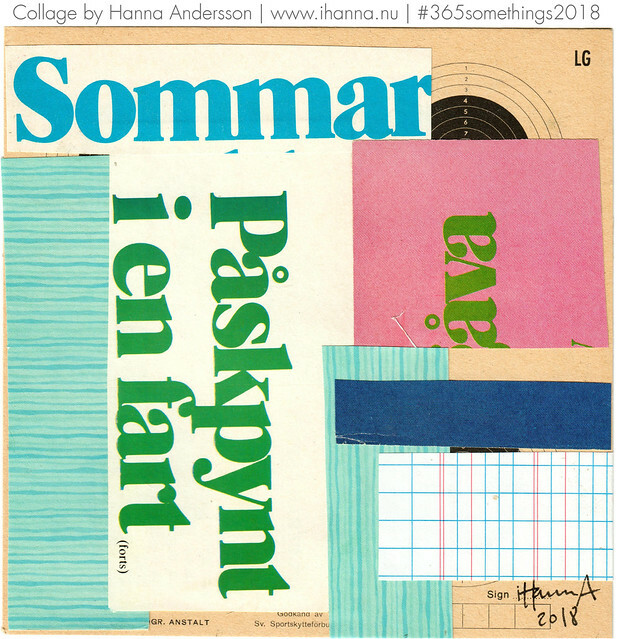 Thanks for taking a look at my Swedish text header collages, my dear! How is your art projects coming along? Do you have specific summer projects, or are you still on board with our 365 somethings? Please let me know what you’re up to in the comments below. Bonus: Feel free to leave me a comment on a previous week 22 of collages, from back when I did a 365 project in 2013, in case you don’t remember it or didn’t read my blog back then. 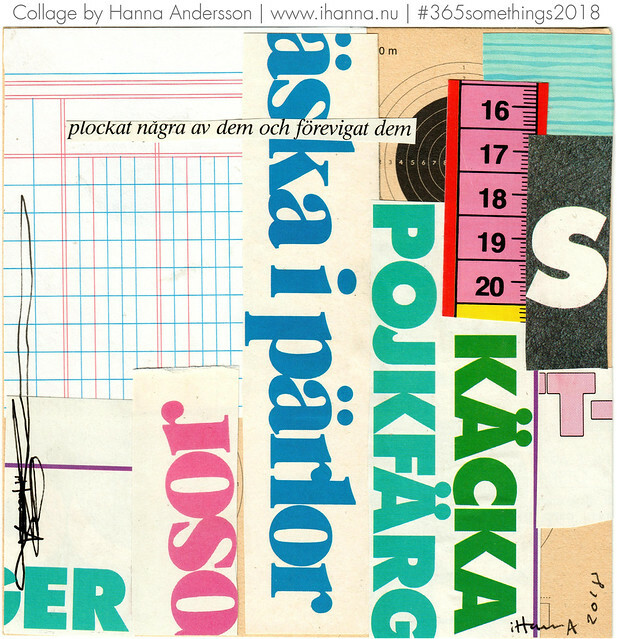 This entry was posted in Collage and tagged 365in2018, DIY, Swedish, typography. Bookmark the permalink. Thanks for sharing your next batch with us! I think “Seasons of Crafts” is my favorite right now, but I enjoyed them all! You’re doing great on your 365 project! Wow!! We’ve been traveling a lot this summer (for work, a wedding, and an early celebration of our 10th anniversary), so I haven’t been crafting as much as I usually do. I’ve been making an occasional card for upcoming birthdays and weddings, did 33 Project Life pages of our anniversary trip (it’s been 6 years since I’ve done Project Life…and now that I’ve done it again, I remember how much I enjoy it! ), and I completed my cross stitch I take traveling, so I’ll start a new travel cross stitch next week. Hope your summer is going well!! Those collages are so fun! Love love love the Swedish headers! I don’t have a favourite because they all have something interesting. I’m way behind on my 365 Somethings but I plan on getting back to it after ICAD is over. I even blogged about it today, after a break of almost 6 months! As always, you are such an inspiration!